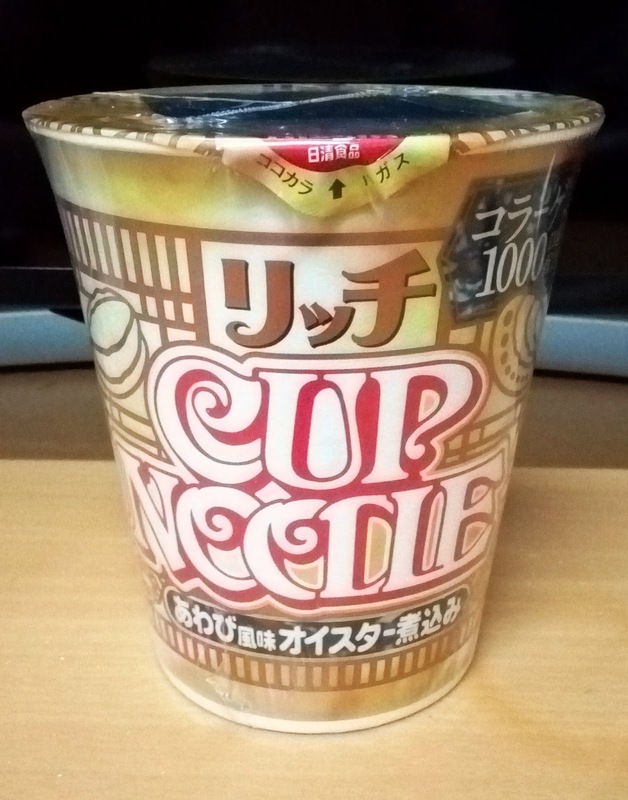 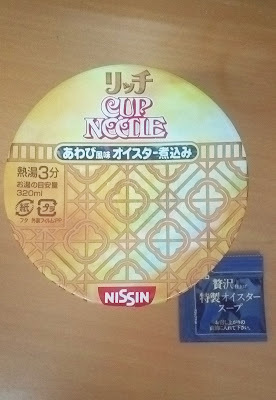 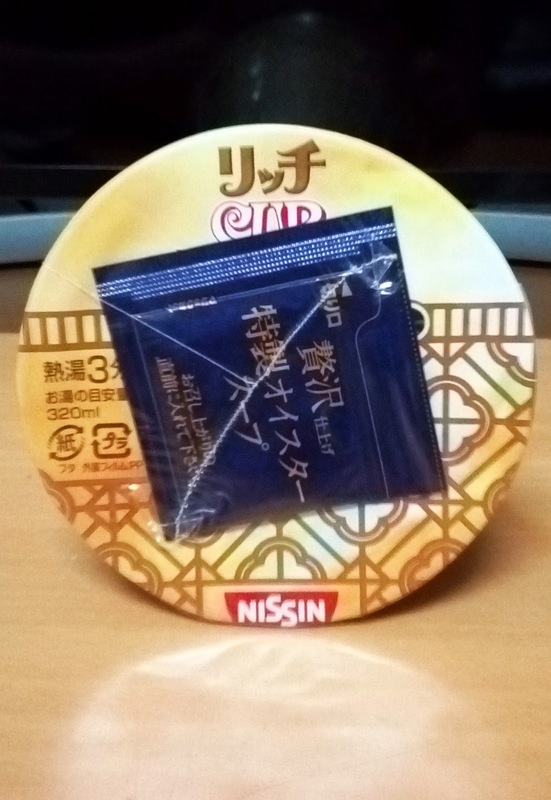 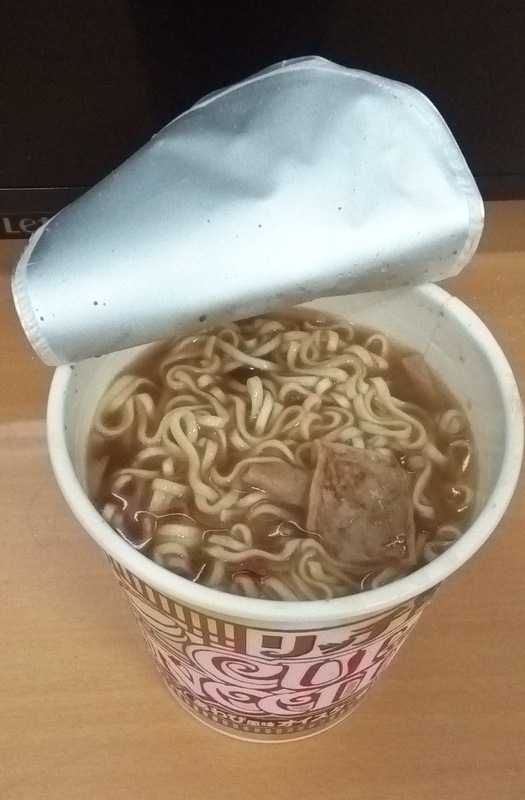 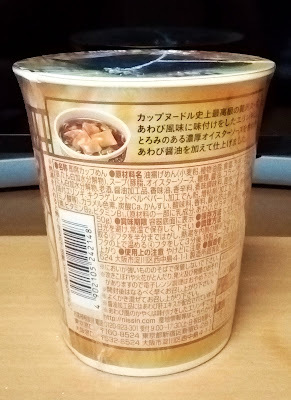 Tried Nissin Cup Noodles Rich Abalone & Oyster Stew Flavour which is part of their luxury range launched for Cup Noodle’s 45th anniversary. The Rich Abalone & Oyster Stew Flavour tasted like noodles in a rich Chinese oyster sauce but nicer and it had pieces of oyster mushrooms and black fungas. 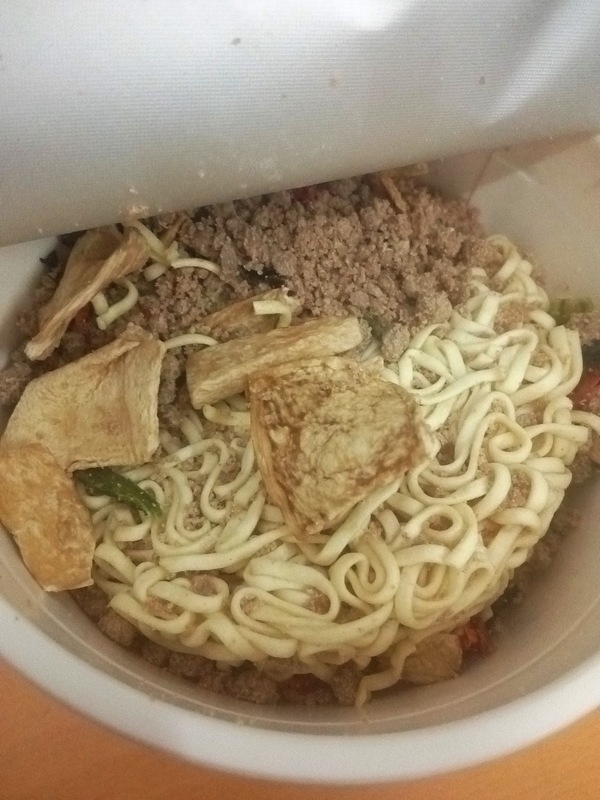 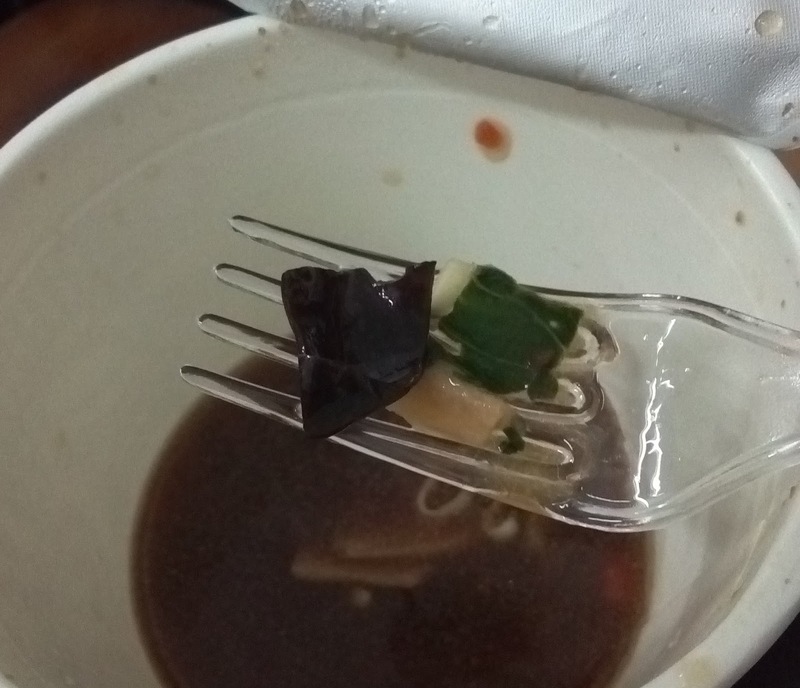 The thing I didn't like was how oily my lips were after eating it and the broth became like gel when it cooled down. 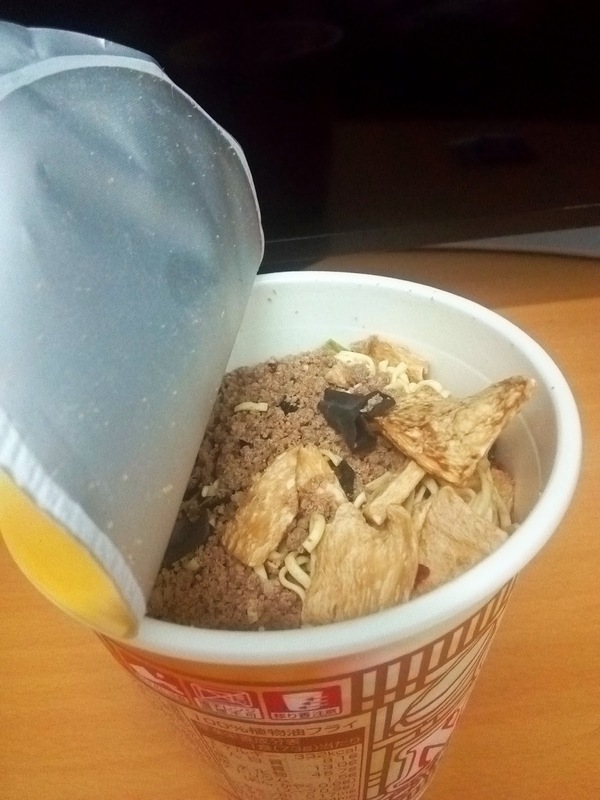 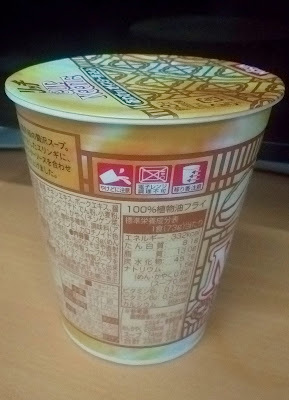 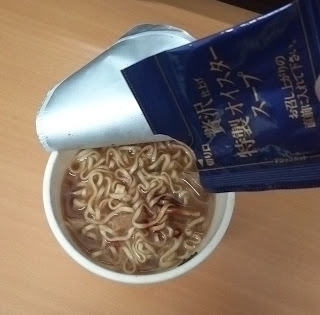 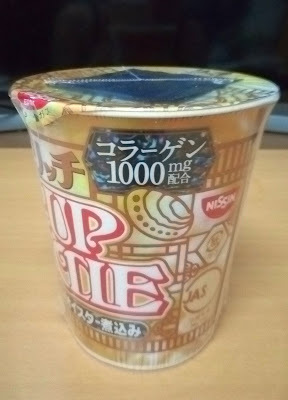 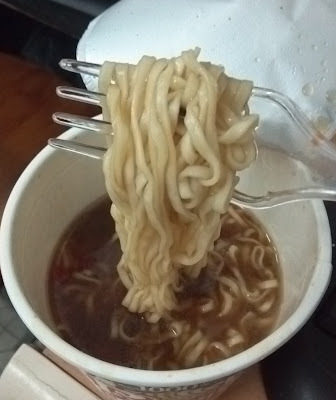 Other flavours in this series are: Luxury Shark Fin cupnoodle and Softshell Turtle cupnoodle which were both really good.